Why Build This? This build was to replace my 12-year old build, since the CPU (Phenom II Black) was starting to chug a little too hard. Of course with everything so old,I had to build a new system around my GPU and Power Supply, which were only a few years old from a shortage replacement. 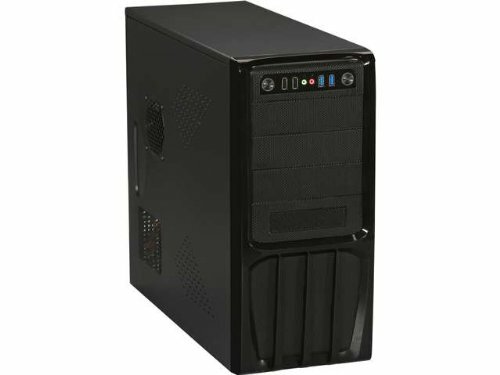 The Parts: NOTE: The case I'm using is NOT the Rosewill R536-BK ATX Mid Tower w/500W Power Supply. It is an unlisted case. To quote my Micro Center receipt: "1x 587162- Solytech Powerspec ATX Gaming Case PCD-02"
Most of the parts were on sale through Micro Center. They are also giving a rebate of $10.00 each on the Cooler Master ML120L and ASRock Fatal1ty AB350 Gaming K4. The Setup: The case allows fans everywhere: space for 2 on top, bottom, front, and back. I'm running the stock blue and ML120 fan in the front, and a stock no-LED in the back to create a nice push/pull. Since it's a mid case, a lot of twist-tying and electrical taping was required to keep the wiring away from the heat, but the case provided enough space to maneuver everything. Mounting the ML120 proved to be quite a task in this particular case, because in any space besides the front at the correct orientation, the fan cable would not reach the motherboard. 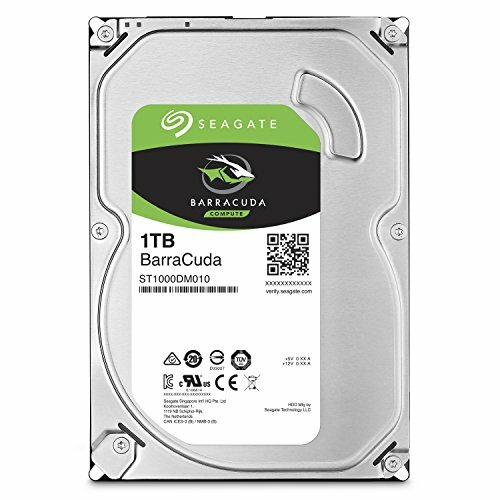 The SSD is for the copy of Windows I had laying around, and the BarraCuda is for everything else. 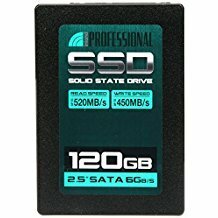 Haven't tried AMD FusionDrive yet, and I'm not sure if I will. The risk greatly outweighs the reward IMO. The G700 Power supply provides more than enough power for anything I could add later. The bluetooth Wireless card allows me to connect my PS4 controller at almost no extra cost over other cards. The Verdict: The build was fairly cheap (I bought the R9 270x 4 years ago at $379.99 and the G700 at $64.99, pushing the total cost of the system to ~$1200 to put it in a total build perspective) and gets the job done beautifully. The fans run silent on idle, but as all cheap stocks fans do, rev up a bit loudly, but I usually have noise cancelling headphones on, so I'm not picky about it. Just like you've heard everywhere else, it does its job. 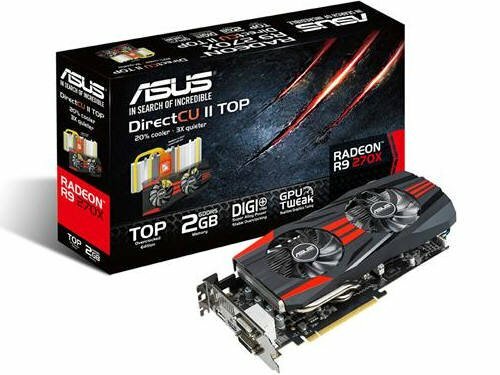 Great for its time, still is with all this Radeon tech bolstering it! Does what it's supposed to and comes with a out-facing LED change button, for that extra oomph! I'm ok with Windows 10. Cheap and has the Bluetooth added for no extra cost. I like the parts, especiallu the free R9 GPU. 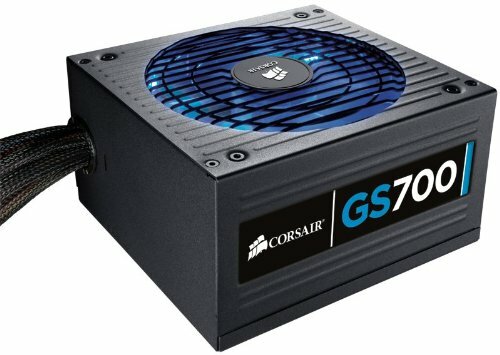 Does that PSU wire length and case not allow the cables to go behind the back and then out to connect to the motherboard and such? The length of the cords of the PSU would have been sufficient if the case had a better design. As such, there were no back thread holes for the top half of the case. The bottom half had the ability, but I mainly utilized it for the fan connections, it wasn't getting much prettier at that point. Still, I managed to keep most of the side pane clear, which was my hope. I neglected to take a picture of the side of the case closed, but it has a clear side pane. Love the specs! Although I feel like the PC is cluttered, and cable management isn't the best. You should boast what you have! An upgraded GPU and a re-work of the system, and you have yourself a system that will bring me (and the community) to our knees.